Directions: Read carefully. These questions pertain to residuals. Questions 1-3 pertain to the chart at the left of residual plots..
1. Which of the residual plots indicates that a linear regression will be appropriate for the data it represents? 2.Residual plot B tells you that the regression equation was a quadratic regression and that it is appropriate for the data. 3. 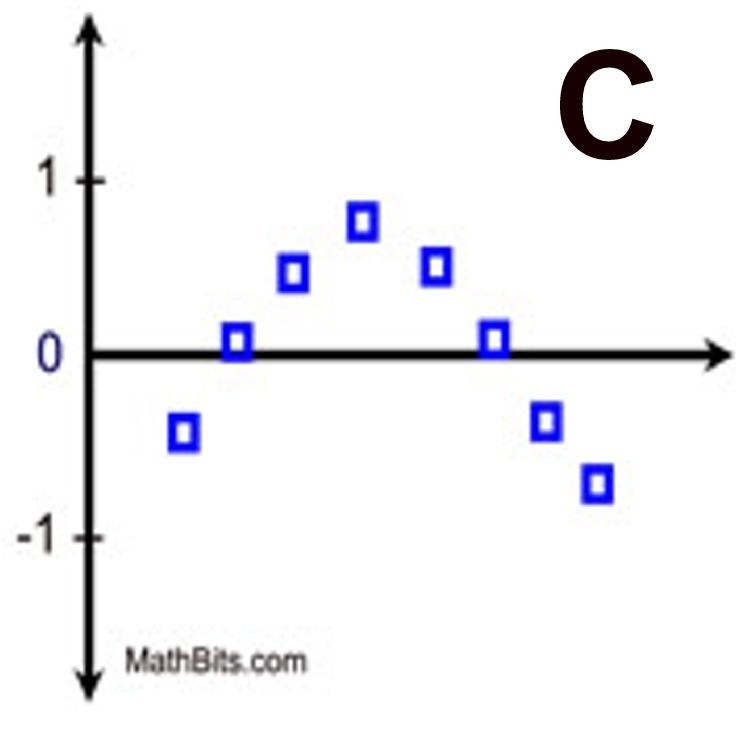 Residual plot C shows the pattern needed to ensure a good linear regression fit. 4. 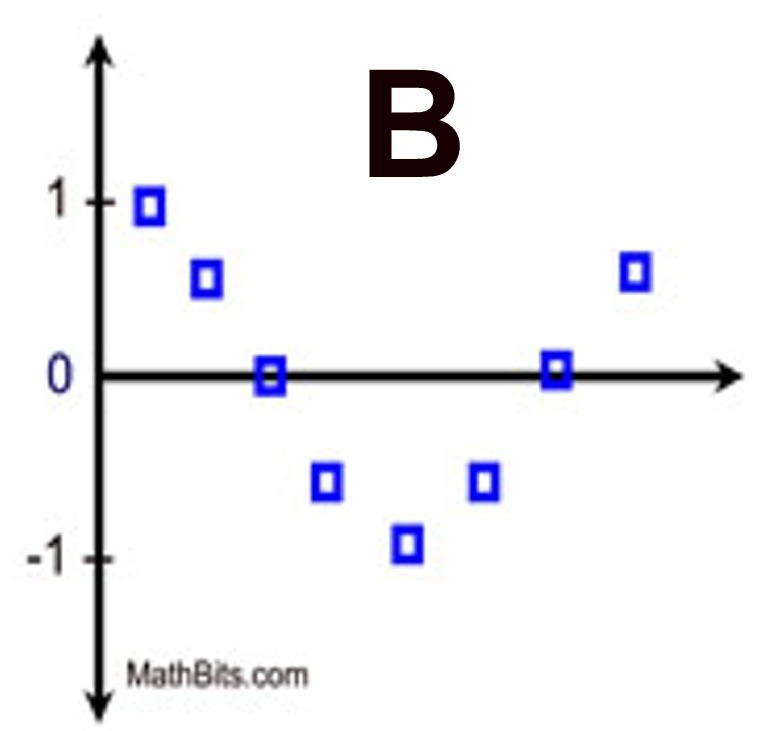 The linear regression equation shown at the right is y = 4.7x + 51. 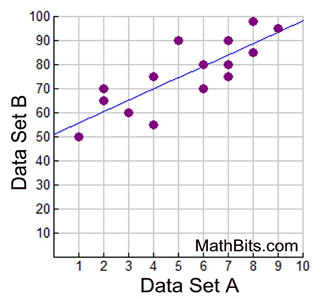 The scatter plot at x = 5 is (5,90). What is the residual associated with the point where x = 5? 5. A rapidly growing bacteria has been discovered. Its growth rate is shown in the chart at the right. 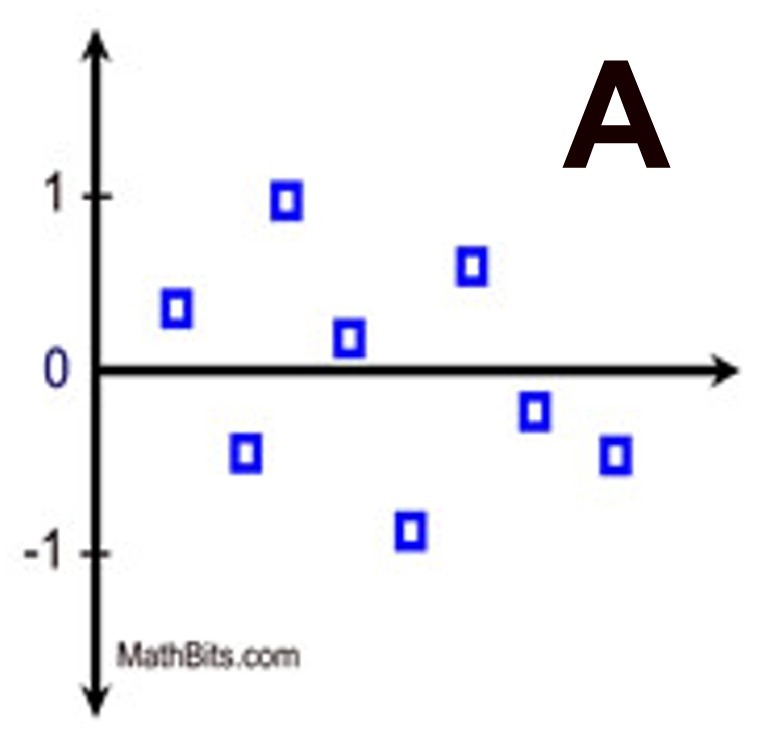 c) When plotted, the scatter plot of the residuals shows that a linear regression is an appropriate model for this data. 6. 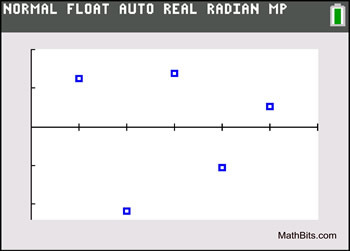 A scatter plot of the residuals from a linear regression are shown at the right. The plots are (1,1.3), (2.-2.2), (3,1.6), (4,-1.1), and (5,0.4). Which statement is true about the sum of the residuals?